“California Dreaming” comes to mind this morning as a cold gray rain drizzles relentlessly on the scattered layers of trampled maple leaves. Creamy yellows, rusty reds, and shades of orange lose all their glory when they are plastered against the wet ground like forgotten Play Doh pie crust. Fallen beauty now awaits the mouldering process that turns organic matter back into soil. It’s a necessary step in the cycle of life, this cold fall rain that strips away litters of leaves from their tenacious parent trees. Euthanasia comes to mind. It’s sometimes called mercy killing. And I wonder is it a merciful death that’s meant or the death of mercy? In any event, I take the thuggish assault by this weather personally. Good Lord! I am a weather wimp, I tell myself. So the damn leaves have fallen on the cold wet ground? Get over it!! Winter is early and you are not really ready inside your head. So get the psychic equivalent of a wool sweater out of storage and put it on your oversensitive neural synapses. Turn up the thermostat and Man up! Seek and enjoy the warmth that is available and stop whining about what has moved on. Whew! That felt good, like the football coach pep talk to his losing junior varsity team. Still, a glommy gloom lingers on this dark Monday. A cruise ship could silently slip into town under the fog and drizzle and not be noticed till the frozen sunlight returns. Inspire conjures up the act of breathing, breathing in some magic spirit like freedom that leads to the creation of something new. But that breath does not always show up, just like perfect crystalline days don’t show up too often here in Central Pennsylvania. Many days are smudgy with all the humidity loitering in the warm air. Old timers blame all the trees that grow here for the moist weather. They expire, the trees and the old guys do… and I don’t get their reasoning. However, when the dew point moves past 60, muggy is the word. I sort of like the criminality of that weather word, as if the very air is forcibly robbing us with nothing more than a sweaty hand in its saggy pocket. Whether or not you like it, weather is not that polite or predictable. It swarms in over night and saturates the local atmosphere. No negotiations. The combination of heat and humidity can stultify a man’s brain, leaving him uninspired, a locked vault door behind which are wonderful treasures piled high. We can’t have this outcome, bloggitties. A psychic thunderstorm must well up and conquer this wet blanket of oppression. 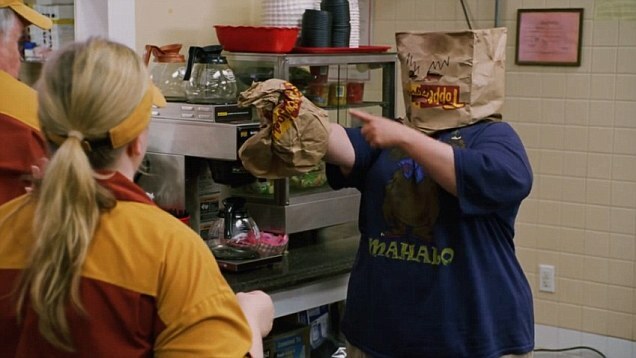 We cannot tolerate weather thugs with bags on their heads mugging us. Ah, much better. Refreshing actually. But is it enough to turn over the inspiration ignition? Let’s see. “Vrrr, rrrr,rrrr, room, room, room.” Alright! I’m breathing hard and deep. Ready to run a creative marathon. Maybe just finish this post. We’ll see. So, I’ve been observing lately that doubt precedes faith, which precedes proof or facts, and then eventually along comes validation. The other night I was watching a show about The Freedom Riders in the 1960’s Deep South. What heroic folks they were. They knowingly boarded Trailways and Greyhound buses for Montgomery, Alabama and Jackson, Mississippi in order to be arrested at their destination and put into prison on bogus racially discriminatory charges. Along the way they were often beaten or nearly killed. In Mississippi they were put in an infamous prison and forced into hard manual labor or death row accomodations. And still more came, flooding the prison. In the film footage I watched, the Freedom Riders looked curious and resolute but never scared. They complied nonviolently with hostile morons in police uniforms who believed in or belonged to the KKK. 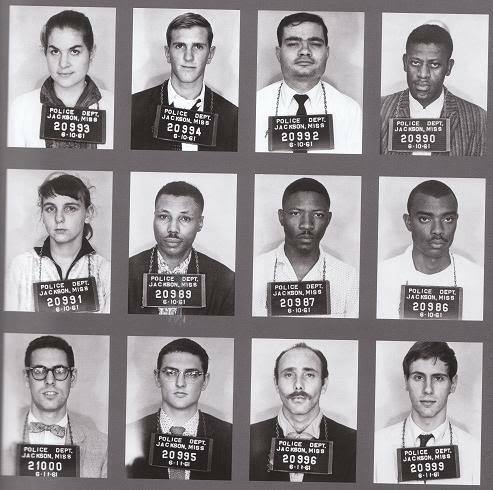 Somehow the Freedom Riders stayed united in spirit, unbroken in their faith that they would prevail along with justice. The native whites reminded me of nauseating Nazis off the leash, unrestrained. How on earth did that unjust oppression work for so long against so many? Makes me wonder if we have a similar atrocity building up today that is merely tolerated and buried in the back pages of our news. There is no shortage of ignorance or guns in our country after all. Meanwhile, back in Washington, the Kennedy brothers looked for political solutions. They did not want to turn the conflict into federal versus states’ rights. Backing southern governors into a corner only fueled the anti-federal government feelings already at fever pitch in Old Dixie. The rule of law had to come from their pens not from the elitist East Coast Kennedys or the Supreme Court. The south refused to recognize the fact that Jim Crow laws were found to be unconstitutional. They simply continued on as usual. The political humidity built and built past muggy into severely oppressive, into total saturation. Southern torpidity was complete; a fresh wind had to blow through like a tornado and turn shacks and shanties upside down. And that is what happened. The fresh cool wind was actually comprised of committed black and white Americans on buses and then trains heading south, into the torpid wall of resistance and ignorance. 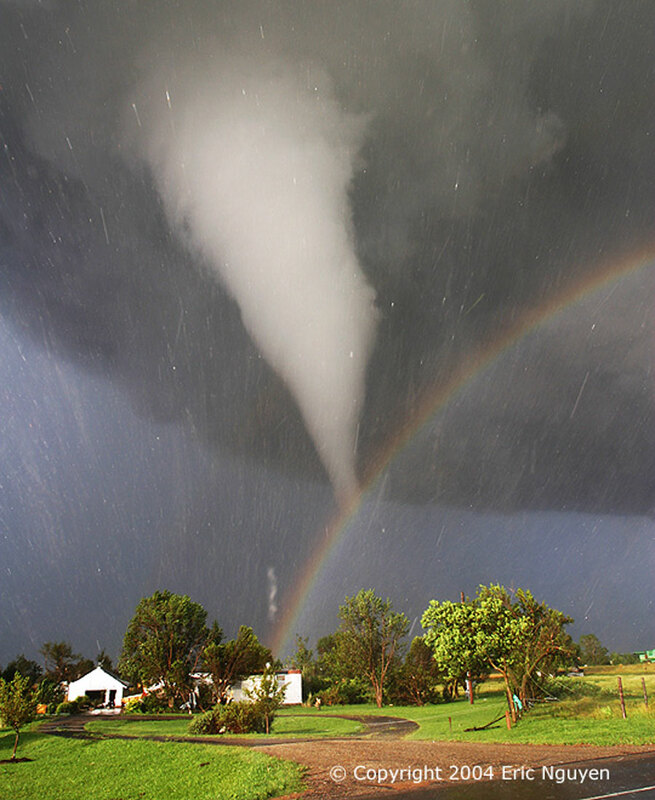 Cold dry air slamming into hot moist air creates tornados which create havoc and destruction. Yes indeed, as in mother nature so too in human nature. The two forces collided and both moved. On May 14, Mother’s Day, in Anniston, a mob of Ku Klux Klansmen, some still in church attire, attacked the first of the two buses (the Greyhound). The driver tried to leave the station, but was blocked until KKK members slashed its tires. The mob forced the crippled bus to stop several miles outside of town and then firebombed it. As the bus burned, the mob held the doors shut, intending to burn the riders to death. Sources disagree, but either an exploding fuel tank or an undercover state investigator brandishing a revolver caused the mob to retreat, and the riders escaped the bus. The mob beat the riders after they escaped the bus. Only warning shots fired into the air by highway patrolmen prevented the riders from being lynched. I wonder what the sermon was on that Mother’s Day that those Klansmen had heard? I don’t ever recall hearing a call to arms in all my 58 years of going to church. Never heard one that urged me to hate my neighbor or to kill my perceived enemy. Rather, I recall being urged to love my neighbor and my enemy, to seek justice and to give mercy. Eventually the federal troops arrived; desegregation began in earnest; and the humidity of stupidity began to drop below muggy for the first time in 350 years.